Torontonians probably don’t need another ego boost, but here’s one anyway: The high-rise construction boom in Canada’s largest city is set to continue, and promises to reshape the city’s appearance in the coming years. Using data from the Skyscraper Center database, real estate site Point2 Homes estimates that there are currently 81 skyscrapers either under construction or in the planning phase around Toronto. 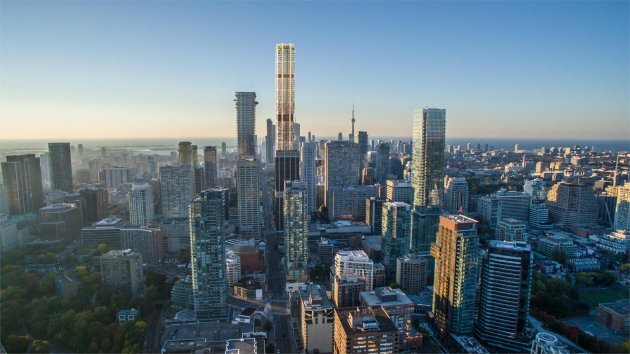 There are seven buildings that are taller than the current tallest building in Toronto (excluding the CN Tower) currently at some point in the planning or development process. “Density really seems to be the key word here, and given how more and more people are attracted to the city, urban densification may be unavoidable,” Point2 Homes said in a blog post. 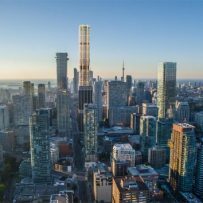 Many of these buildings are certain to go up, such as The One at the corner of Bloor and Yonge, which, at 306 metres (1,005 feet) will soon be the tallest building in Canada. Less certain are the fates of some other buildings that would take the crown for tallest. There is the proposed Commerce Court III office tower near Bay and King, which would rise 350 metres (1,147 feet). 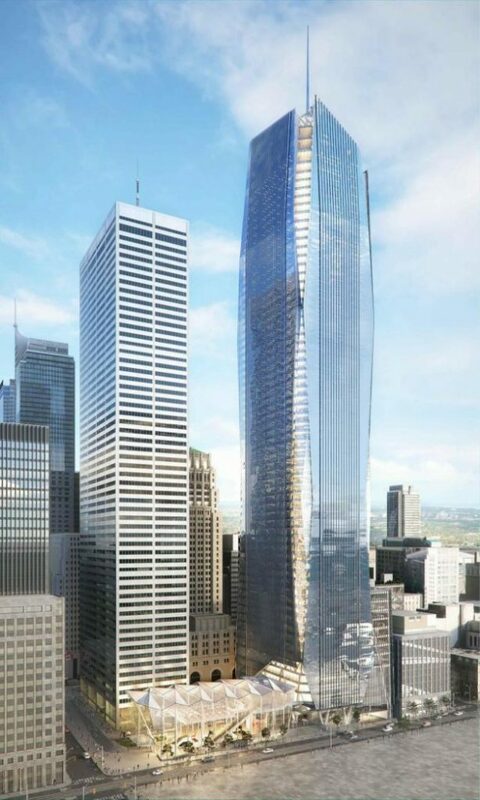 The proposed Commerce Court III office tower in downtown Toronto. There is also YSL Residences, a proposed condo tower near the Eaton Centre that would rise 344 metres (1,128 feet) above Yonge Street. 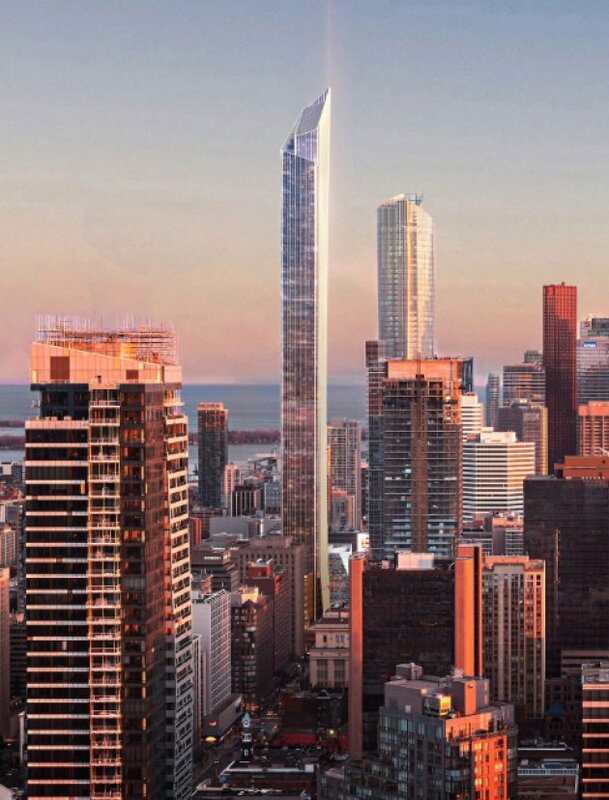 The proposed YSL Residences on Yonge Street in Toronto. One major upshot of all this (planned or possible) new housing supply in the core is that it could finally put an end to years of soaring condo prices in Toronto. Urbanation noted that Toronto will see a 29-per-cent increase in the supply of new condos this year, compared to 2018. That’s the result of developers responding to soaring prices in the region several years ago. But the recent slowdown in the market could reverse the supply boom. Developers cancelled plans for more than 4,500 condo units in 2018, Point2 Homes noted, up from just 379 two years ago. So don’t count on every one of those skyscrapers to be built. The best-laid plans of mice and real estate developers often go awry. Point2 Homes is an international real estate search portal, a division of Yardi Systems Inc. Our original research, insights and in-depth analysis of the real estate market have been featured in major media publications across Canada and the US.